High Power Wireless-N 600mW Pro Access Point. Adds extreme range indoor/outdoor WiFi to an existing network. 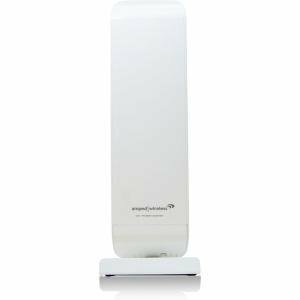 High 600mW Power Amplifiers and Directional Antennas increase WiFi coverage up to 1.5 miles. Adds 1 Ethernet Port. Weatherproof enclosure, includes desktop, wall and pole mounting kits. True plug and play setup. Great for creating wireless coverage for outdoor areas, parks, buildings, large homes, recreational vehciles, boats and more.